Tonga Diving Holidays | travel&co. 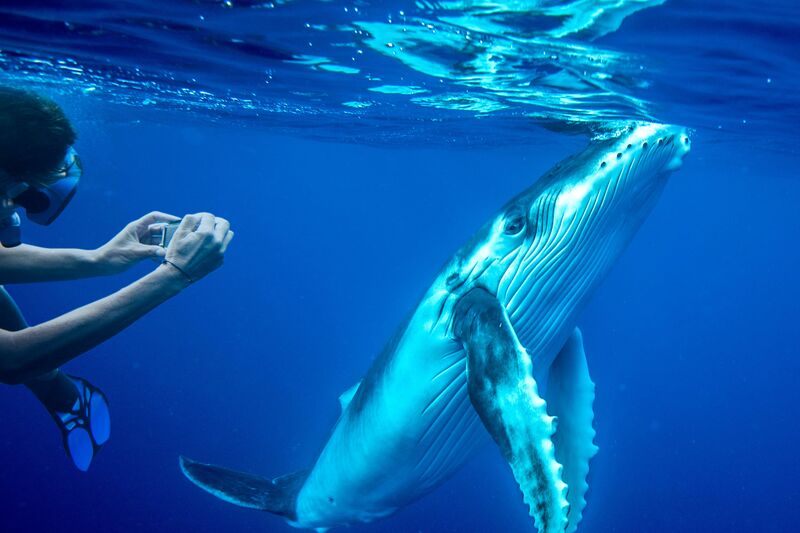 With over 170 islands, Tonga offers uncrowded dive sites and is thought to be one of the best places in the South Pacific to swim with humpback whales. Dive the warm waters to explore wrecks, hidden caves, chimneys, swim throughs, vibrant coral reefs with a variety of tropical marine life. 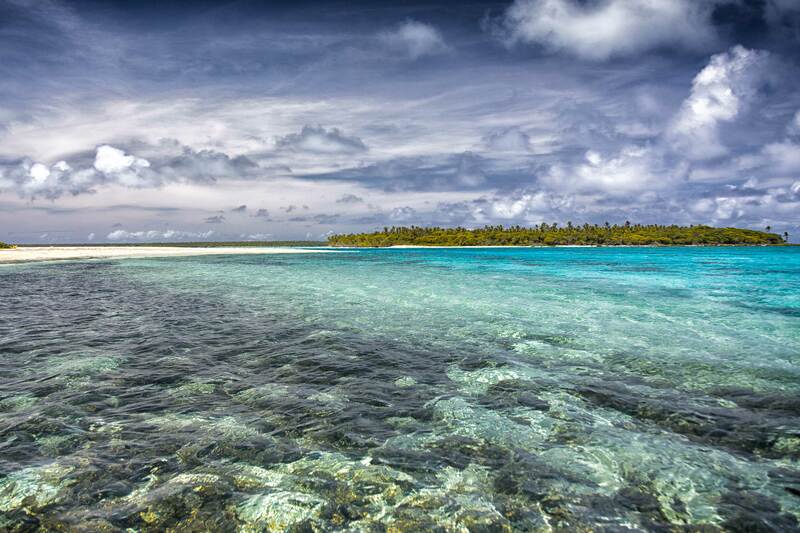 Ha’apai is an idyllic dive destination and a place to get away from it all. This location is one of only a few places you can swim with humpback whales. The Tongan archipelago is thought to have been colonised around 3000 BC, but the earliest date verified by radiocarbon dating is about 1100 BC. The Lapita people arrived in Tonga between 3500 and 3300 years ago, and their first capital was near present-day Fua’amotu Airport on Tongatapu. Tongan warriors were the Vikings of the Pacific, wreaking havoc in their wake. They subscribed to the view that war was pursued by noble and worthy men and peace was strictly for pansies. They extended the Tongan Empire to include parts of Fiji, the Samoas, Tokelau and Niue. The royal title Tu’i Tonga was passed from father to son, and during the mid-17th century the most powerful royal title to emerge was the Tu’i Kanokupolu. By the time of the first European contact the Tu’i Kanokupolu was the most powerful figure in Tonga. The first Europeans known to reach the islands were the Dutch. Abel Tasman, another Dutchman, passed through the southernmost islands in 1643, taking on supplies and trading with the people of ‘Ata, ‘Eua and Tongatapu. The British were the next arrive in the late 18th century. Captain James Cook was among them, and he called Tonga the Friendly Islands. The Spanish laid claim to Vava’u then promptly sailed away. The French certainly sniffed around, but no 19th century power managed to set up a colonial administration. Pirates, deserters, whalers, blackbirders – who ravaged some of the outer isles – and sandalwooders were the most permanent of European residents until the missionaries started spreading their influence in 1822. The Wesleyans were the most successful. By the time the French Catholic missionaries arrived, the Wesleyans had already converted Taufa’ahau, ruler of Ha’apai. Under his influence the whole of Ha’apai converted, and he took the name George when he was baptised, later becoming King George Tupou I when he united Tonga and ascended the throne. When George’s great-grandson took the throne in 1896, the British coerced him into a treaty putting Tonga under British protection in foreign affairs. In 1918, his 18 year old daughter became Queen Salote I. During WWII Tonga formed a local defence force of about 2000 men, which saw action in the Solomon Islands. New Zealand and US troops were stationed on Tongatapu, which became a staging point for shipping. Queen Salote was less interested in squabbles between churches than in education and medicine for her people. She was a popular queen at home, won friends for Tonga throughout the world and was mourned widely when she died in 1965. Her son, Taufa’ahau Tupou IV, is the current king. By 1976 Tonga’s full sovereignty was restored and the country was readmitted to the Commonwealth. The King established relations with the Soviet Union that year, which made the USA, New Zealand and Australia sit up and take notice of this stirring kingdom. King Taufa’ahau’s reign has emphasised economic development, and the country has even enjoyed a pumpkin-led boom in recent years, with massive exports of pumpkins to the profitable Japanese export market. By the early 1990s, corruption at high levels and increasing foreign influence had brought about a degree of dissatisfaction with traditional ways, at least in government. A 1990 parliamentary election resulted in unexpected victories for the dissident Tongan Pro-Democracy Movement (TPDM), whose platform included demands for the power of the aristocracy to be curbed and for a constitutional monarchy based on the British model rather than one in which government ministers must also be nobles and enjoy lifetime appointments.